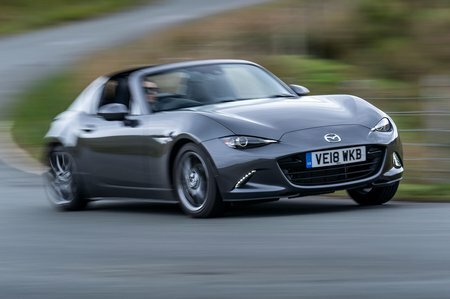 Mazda MX-5 RF Review 2019 | What Car? Whether you like the British seasons or not, there are four of them, each distinct, and they keep spinning around relentlessly. And as they do, the same things happen: we moan that it’s too cold or too hot, and regardless we carry on buying open-topped cars by the bucketload. 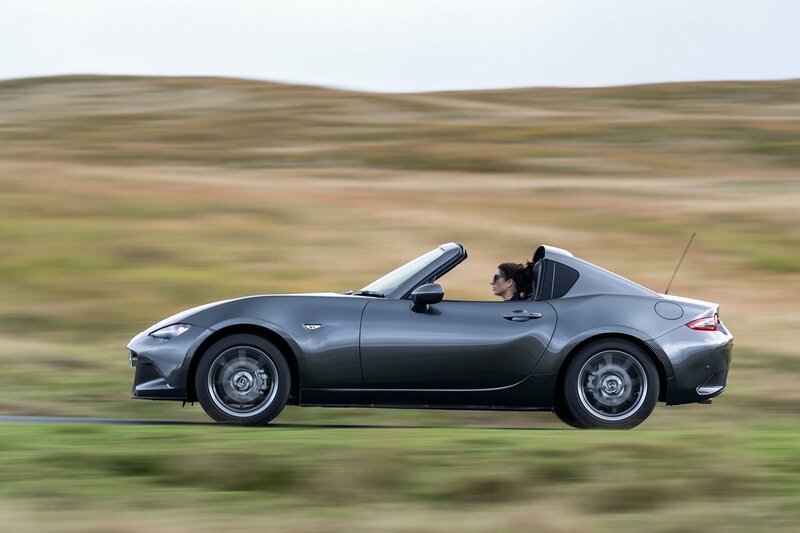 The Mazda MX-5 Convertible is always a popular option, but try driving one any distance up the motorway, even with its roof up, and you’ll discover its hardly the quietest of cars, with a fair degree of road and wind noise breeching that canvas roof being the culprits. So, to appeal to those who enjoy the indulgent thrill open-topped motoring but appreciate the option to put the roof up and relax when need be, we now have this Mazda MX-5 RF. The initials stand for Retractable Fastback and it's just like the regular convertible version, but has an electrically operated retractable hard-top and extra sound insulation that are claimed to boost refinement and make it more of an everyday proposition. However, it’s pricier than the soft-top MX-5, so is it worth the extra? Read on over the next few pages to find out. And don't forget to check out the latest deals on our New Car Buying pages.